Thalassemia is an inherited blood disorder which disrupts hemoglobin production which leads to anemia. Its impact can sometimes be life-threatening. This disorder though inherited from parents or family history have classified on the basis of its seriousness. In this write up we will explore its types, Diagnosis, and Treatment options. It all depends on the number of gene mutations a person adopt from his/her parents as well the part of the hemoglobin molecule is affected by the mutations. More is the mutated gene more serious is the thalassemia. Symptoms and seriousness vary with types and subtypes. Hemoglobin is formed by the combination of heme with globin (protein). Globin is made up of four polypeptide chains (an oligomeric protein). Two of these polypeptides are known as alpha (α) and the other two are known as beta (β). Each alpha chain has 141 amino acids and each beta chain has 146 amino acids, which are arranged in a definite sequence. 1 mutated gene: A person if have inherited only 1 mutated gene then will have mild symptoms of thalassemia and called thalassemia minor or beta thalassemia. 2 mutated genes: In this case, symptoms will be moderate to severe. This condition is also called thalassemia major or Cooley anemia. Babies born with this condition do not show any symptoms at birth but they develop within two initial years. 1 mutated gene: In this, a person is a carrier for sure and can pass it on to his children but do not show any symptoms. 2 mutated genes: Symptoms will be mild and called alpha-thalassemia trait. 3 mutated genes: Symptoms are moderate to severe. 4 mutated genes: Babies born with this condition often die shortly after birth or require lifelong transfusion therapy. They can also treat with a stem cell transplant, which is also called a bone marrow transplant. 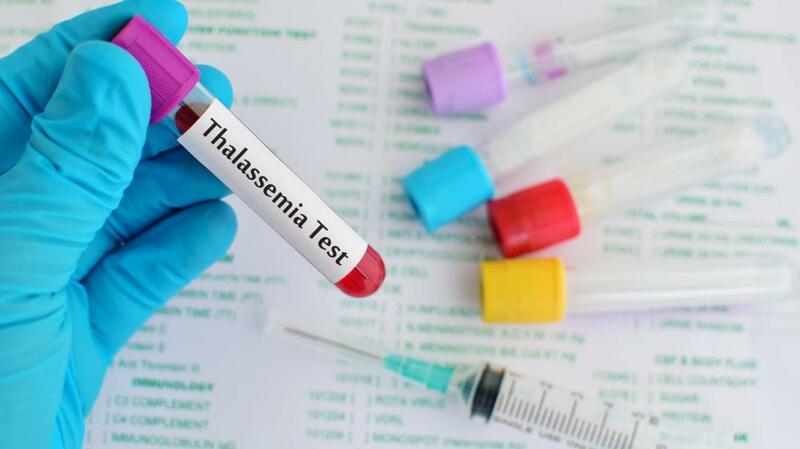 A person with thalassemia needs to test his blood sample. Initially, when it was not recognized and find some symptoms, the doctor you consult will ask you to go through the blood test and other observations if found serious. A lab technician will check for anemia, abnormal hemoglobin, oddly shaped red blood cells. They may ask to go through one more test called hemoglobin electrophoresis. A person may need to go through physical examination if it is serious which will help a doctor make the diagnosis. Blood transfusions: This is the first treatment arrives in one’s mind when they get to know about thalassemia. In this, they replenish hemoglobin and red blood cell levels. Eight to twelve transfusions a year will need for major thalassemia and up to eight for less severe thalassemia. Iron chelation: It removes extra iron from the bloodstream. Sometimes blood transfusions can cause iron overload. This can damage the heart and other organs. Patients who receive blood transfusions and chelation may also need folic acid supplements. These help the red blood cells develop. Bone marrow or stem cell, transplant: Bone marrow cells produce red and white blood cells, hemoglobin, and platelets. A transplant from a compatible donor may be an effective treatment, in severe cases. But it is very expensive. 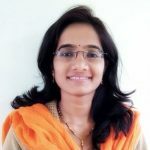 Gene therapy: Scientists are investigating genetic techniques to treat thalassemia. Possibilities include inserting a normal beta-globin gene into the patient’s bone marrow or using drugs to reactivate the genes that produce fetal hemoglobin. Though there are these treatments are available, not affordable to all. So, the prevention is always better than cure.